U-breast is an electro-stimulation unit designed to increase volume, reaffirm and give shape to the female breast through stimuli. U-breast is a novel electro -stimulation unit for natural breast enlargement. The device emits stimuli which results to the progressive growth of breast tissue and muscle tone. The aim of this treatment is to improve the fundamental conditions of female breasts of all conditions. The device is placed directly on the breasts. It is recommended to use for 15 minutes, 4 or 5 days a week, gradually accumulating the results that are obtained. It is proved that if done properly, massage with electro-stimulation can results to incredible benefits. Thanks to continuous technological improvements that are occurring, you can have healthier and firmer breasts from the comfort of your home. Can you imagine having better breasts with a simple and pleasant daily massage? What benefits will I obtain? Increase the size and overall aspect of the breasts. Conservation of ligaments for healthy and good looking breasts. Improve blood circulation, reactivating cell renewal, and the secretion of hormones. Maintaining healthy and strong breast ligaments by increasing firmness. Help reduce Pain and relaxes tense muscles of the breast wall. Reduce pain associated with compression of the breast due to wearing of bra. It helps drain the mammary glands and improve internal secretion. NOTE: Individual results may vary for every woman. U-breast is an electro-stimulation device consisting of 2 electro-stimulation units that maximize the natural aspect of the female breast, increasing the size and firmness of the breast. Thanks to these electro-stimulations emitted by U-breast, your breast will increase in size and gain strength. The electro-stimulation intensity of U-breast penetrates the skin in order to produce the necessary stimulation for the female breast to accelerate and improve blood circulation on its own and thus boost cell renewal and hormone secretion. U-breast device is considered by many women to be the best product available to get firmer breasts without resorting to breast enhancement surgery. In addition, the device offers different techniques to stimulate your breasts professionally without leaving home. – 5 different massage modes. Each massage acts differently to the previous, thus completing the cycle of stimulation lasting 15 minutes daily. The whole process must be accompanied by U-breast Gel, always included with the product. 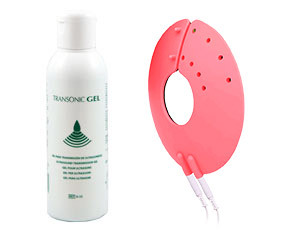 The gel will protect the skin, acting as an electrical conductor. Procurves Plus is a breast enlargement pills to increase breast size naturally with permanent result. Its herbal ingredients act directly promoting the development of breast tissue and the reactivation of the mammary glands through nutrients, lipids and phytoestrogens. !